Those limited edition lattes are flowing and you start hearing carols again, which can mean only one thing: this year’s holiday season is right around the corner. For small business owners who already juggle more than their fair share of responsibilities, it also means they’ll need to manage some unique situations that only arise in November and December. The holiday season brings with it a unique set of stressors that can test even the most seasoned small business leader. Coping with requests for additional time off, payroll challenges of holiday compensation and the question of how to thank your staff during a peak season can be overwhelming. Private employers generally are not legally required to provide paid holidays to non-exempt employees. However, if you close for a holiday, exempt employees must receive their full salary as long as they work any part of the workweek. In the United States, like in Massachusetts and Rhode Island, certain employers may be required to provide premium pay to non-exempt employees who work on a holiday. 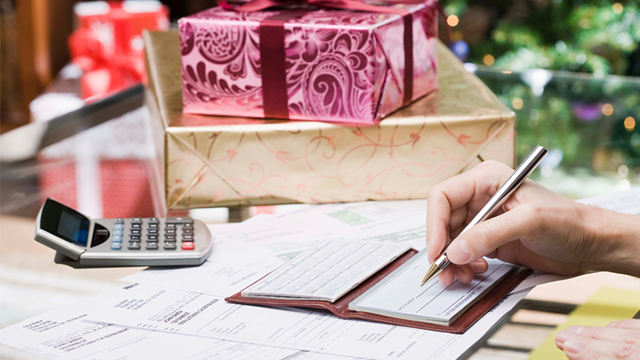 Some things to keep in mind when considering how to treat holiday pay are applicable laws, your company's resources, business needs and practices in previous years. Holiday bonuses are a great way for employers to recognize and reward employee accomplishments. There are generally two types of bonuses: discretionary and nondiscretionary. Most employers provide nondiscretionary bonuses, which are generally announced to employees in advance to encourage them to work more efficiently and/or to remain with the company. With this type of bonus, employees expect that if they meet certain criteria (such as attendance or productivity), they will get a bonus. By contrast, a discretionary bonus is not announced in advance and is not tied to meeting certain criteria. Remember that most bonuses must be factored into an employee's regular rate of pay when determining overtime. The holiday season is a popular time for employees to request vacation, so provide employees with instructions for requesting time off and clearly communicate how vacations will be granted (based on scheduling needs, seniority, first-come first-served or a combination of these factors). Some employers see a rise in unscheduled absences before and after a company holiday. To help address this, consider encouraging non-exempt employees to work the day before and after a holiday to receive holiday pay (unless the time off was scheduled in advance). Also, consider incentives to help limit unscheduled absences, such as an extra vacation day to employees who work during less desirable times or who meet certain attendance and punctuality benchmarks. Pay: If you plan to host the party during work hours, employees will likely be entitled to pay for time spent at the party. And if attendance is mandatory, regardless of where and when the party takes place, such time may also be considered hours worked. Liability: Before the party, consider consulting legal counsel regarding the potential liability for serving alcohol at company events. If alcoholic beverages will be served, limit intake and ensure there is plenty of food as well as non-alcoholic beverages available. It’s always good to check with your insurance provider to determine what your coverage and liabilities may be during the party. Conduct: Remind employees that you will enforce workplace rules, such as dress codes and anti-harassment policies, regardless of whether the party is held during work hours or on company premises. During the holidays, vendors may give employees gifts, or employees may want to give clients gifts. Because gifts can raise concerns about conflicts of interest, consider establishing written guidelines around giving and receiving gifts. Many employers limit gifts to a nominal value and require employees to report gifts to the company. Even if all of these challenges arise at the same time, sound preparation can see you through the busy season. Planning and communicating your expectations early will get your employees on the same page and set a standard that can pre-empt many problems. While the holiday season can be stressful, it also provides a great opportunity to acknowledge the hard work employees have done in the past year and to boost employee morale. So kick back. Enjoy that holiday latte.